This gorgeous painting has been created by a Female Year 10 student from Frankston High School in Victoria, Australia. It's a painting of a canal in Europe with little boats going through. Houses and little apartments are along either side of the canal. 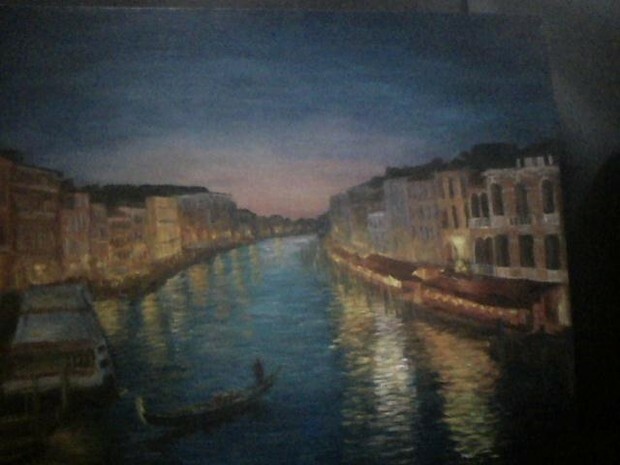 This artist has used the technique of yousing each of the colour to blend together as one with the light reflecting on the canal. This is the only copy that you will ever see! Call 1800 4572 today!